There really is a career for you in the hospitality and tourism industry! New Orleans & Company is hosting its April Job Fest at Urban League of Louisiana, 4640 S. Carrollton Ave. Join us on Thursday, April 25, from Noon-3 p.m. We have some of the top employers in the city’s largest industry ready to hire great, enthusiastic people like you! Special thanks to Urban League of Louisiana Office of Workforce Development. More details are below. When: Thursday, April 25, Noon-3 p.m.
Where: Urban League of Louisiana, 4640 S. Carrollton Ave.
Who: New Orleans & Company is hosting the event with special thanks to Urban League of Louisiana Office of Workforce Development. Everyone is welcome to attend. List of the participating employers below. *Participating employers are subject to change. 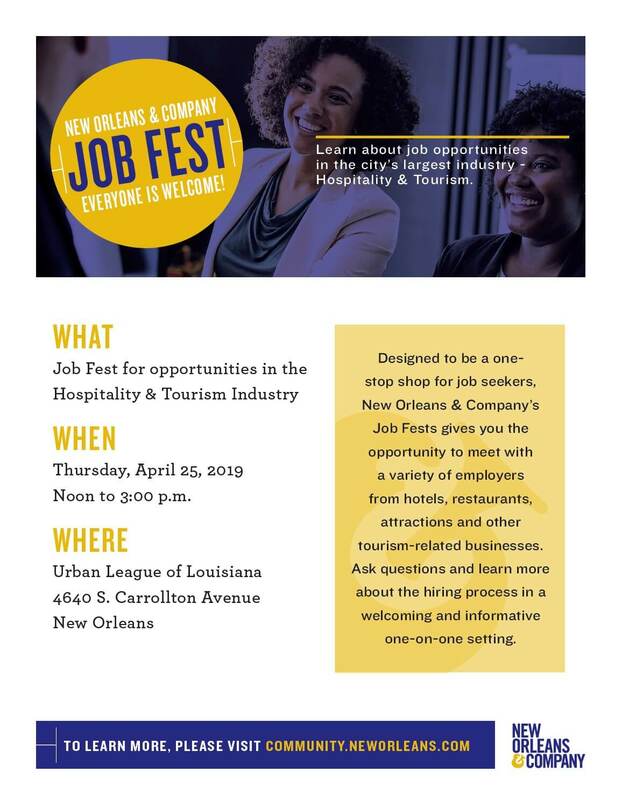 What: Designed to be a one-stop shop for job candidates, New Orleans & Company’s Job Fest allows participants to meet with a variety of employers from hotels, restaurants and other tourism-related businesses. Participants can ask questions and learn more about the hiring process in a welcoming, one-on-one setting. New Orleans & Company’s Job Fest is part of an effort to connect job seekers to careers in the hospitality and tourism industry across New Orleans. Why: In New Orleans, tourism provides thousands of satisfying jobs in fields like guest relations, finance, administration, housekeeping, food and beverage service and beyond. Each job offers an opportunity for growth to move up in a company while enjoying employee benefits and the peace of mind that comes with a steady paycheck. 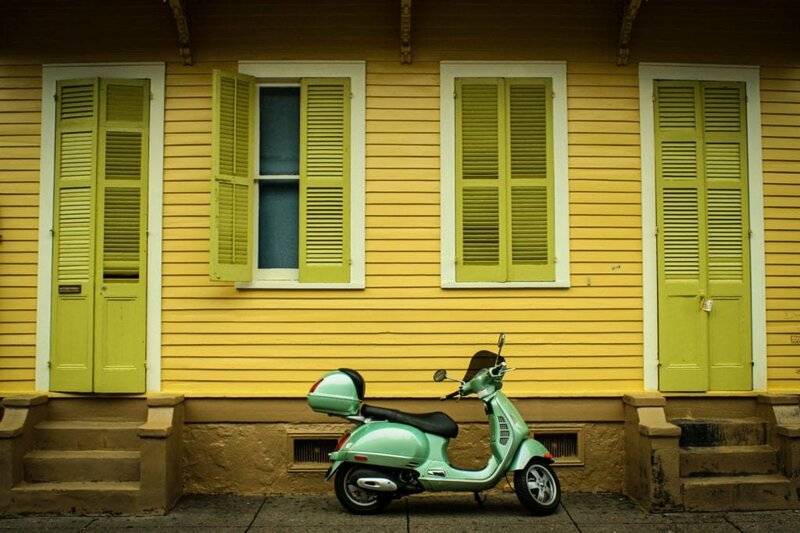 A job in hospitality and tourism – which can start by a visit to this Job Fest – is the basis for a lasting and fulfilling career in New Orleans.